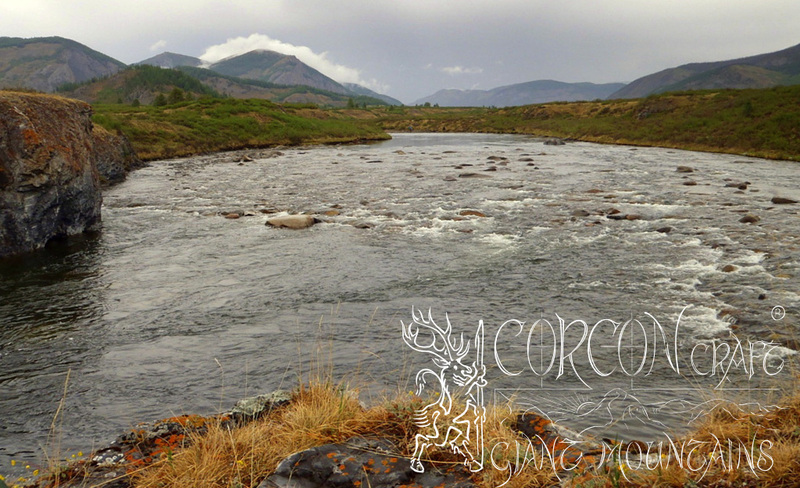 A widely untouched highland, which is still covered with morning dew, and where the earth is still young. 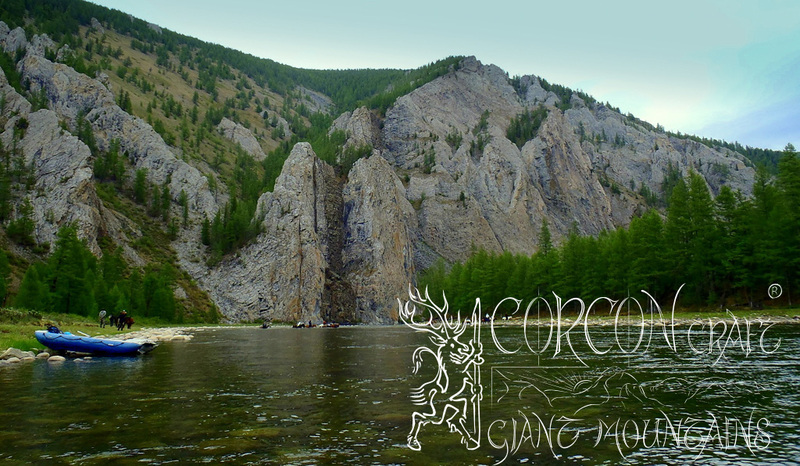 Deeply carved only by a crystal-clear river, running through rocks and canyons of this wild woodland taiga. 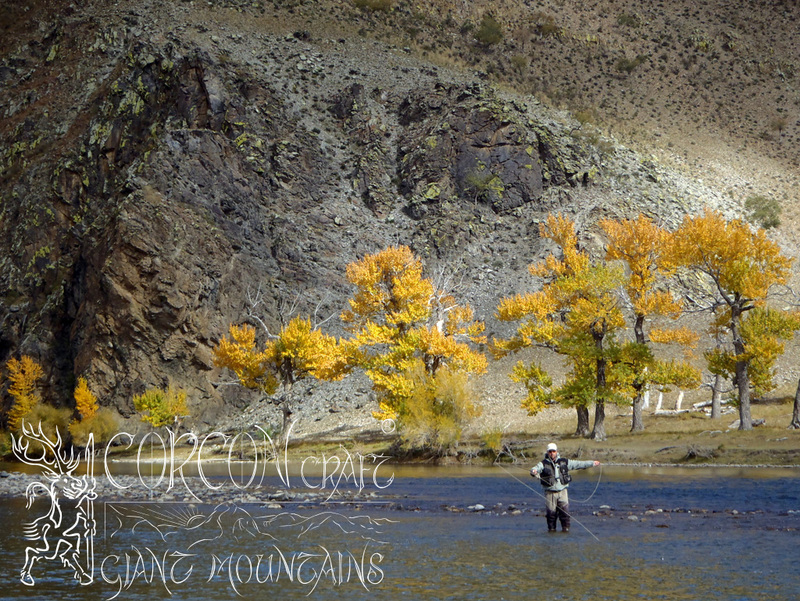 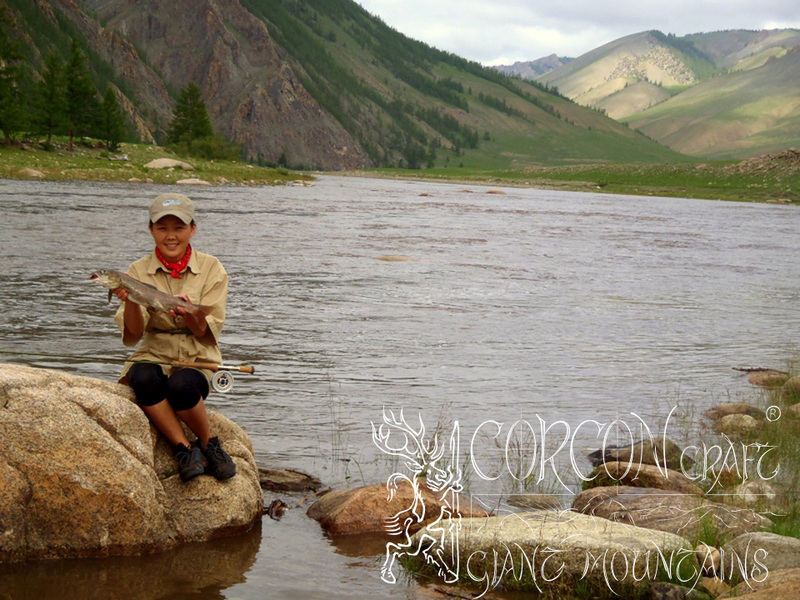 The gentle rush and murmur of the stream calms down at each river knee and runs into a deep and silent pool underneath tall granite rocks, where the lays of the Mongolian Hucho Taimen are hidden, the legendary fish of the wilderness. 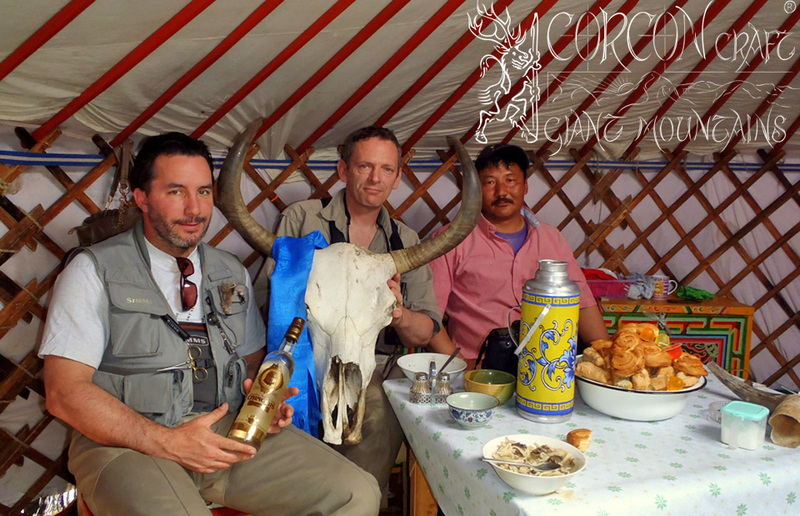 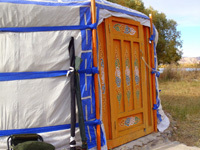 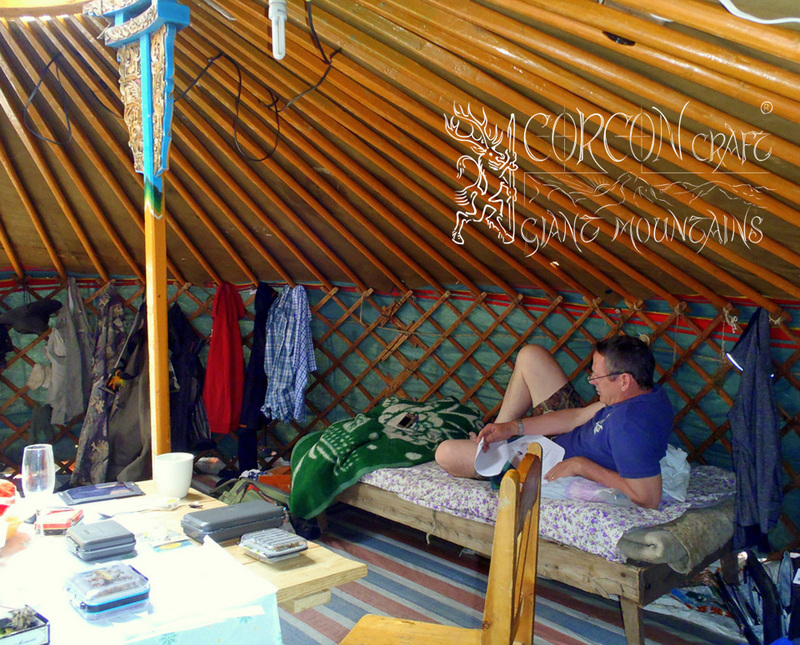 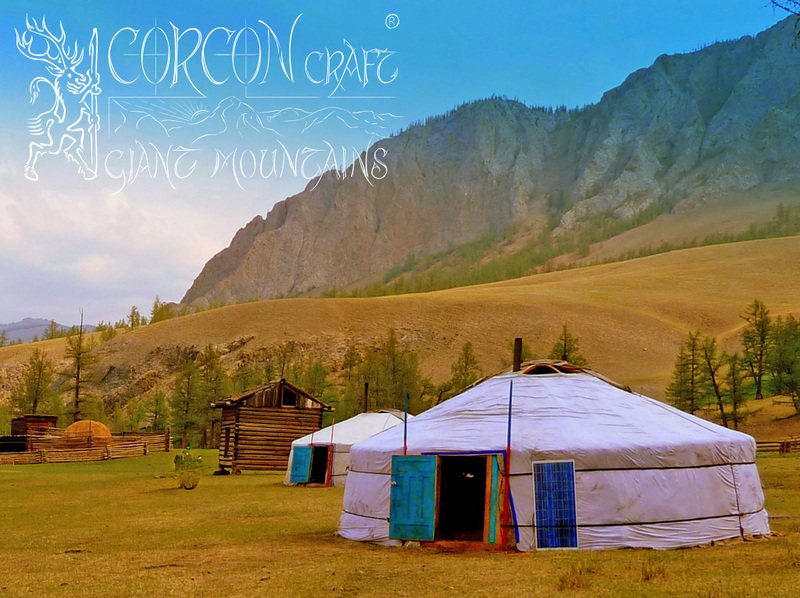 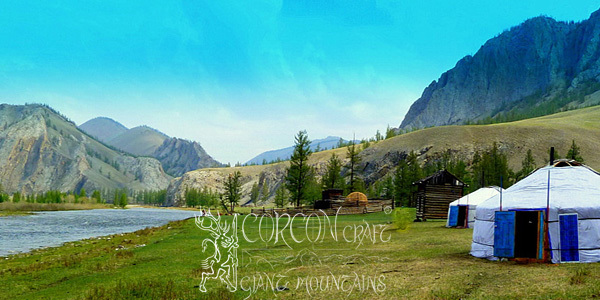 In this virgin land, at the gate to a vast Mongolian national park, our traditional camp has been erected from native yurta-gers at a strategically favorable place. 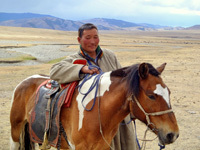 To be reached only by horses and with our native pathfinders and local Mongolian rangers of the border guards. 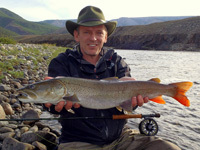 Our fishing camp is well equipped with a large kitchen and dining ger, and with spaceful gers for accommodation, which are shared by 2 fishermen each. Cozy classic wood-stoves, comfortable beds and wooden desks and chairs are part of the interior, just like an independent power supply and simple field-showers with warm water in our camp. 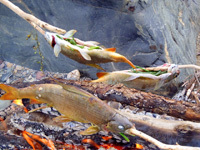 A friendly and experienced native cook takes care of the fishing guests, and she prepares freshly cooked and fried dishes for breakfast and dinner at camp. 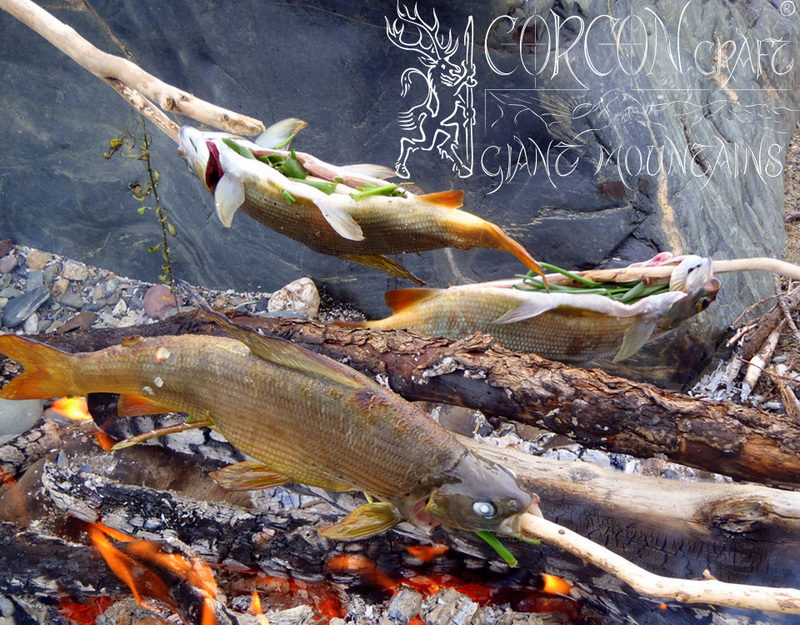 And a daily traditional lunch at the river bank, with fresh shepherd cheese, yak joghurt, meat -or fish soup, and often a barbecue of self-caught grayling from the river. 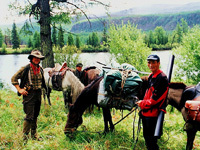 Horses, tents, and a robust off-road vehicle are part of the camping equipment for extended fishing explorations along the river, and for over-night stands at remote Taimen pools. 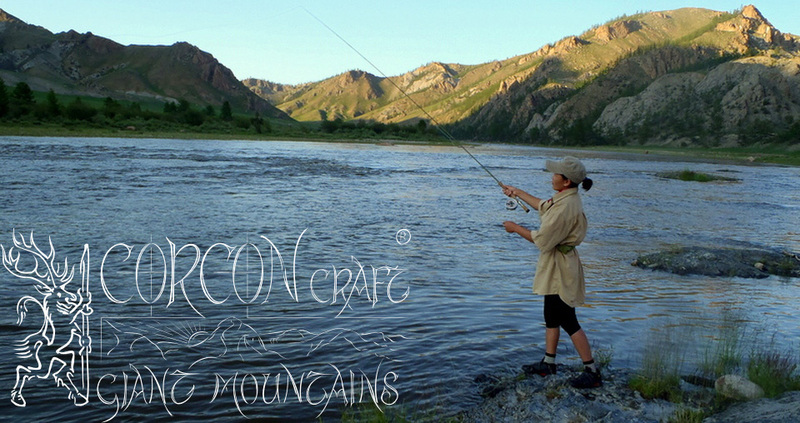 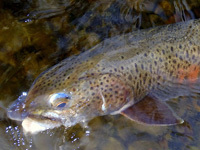 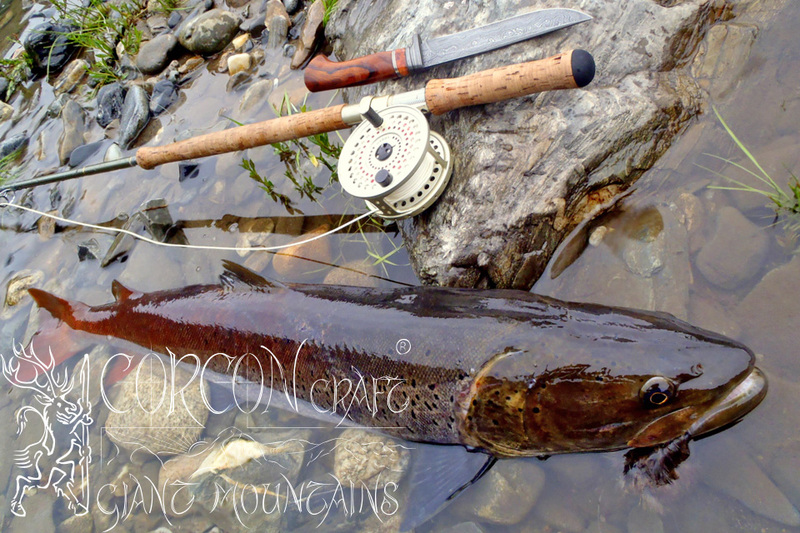 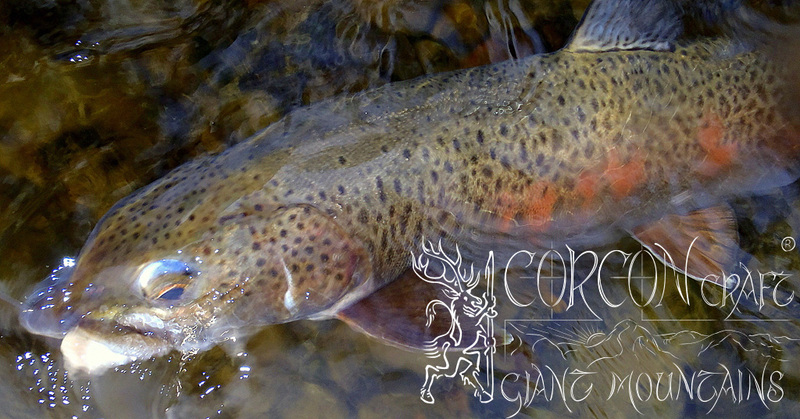 More than 30 miles of exclusive wild river fishing for our clients only. 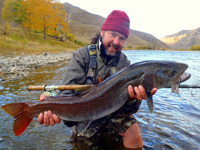 14 days of pure fishing for large, stunningly colored Taimen in prime condition, and for plentiful Lenok Trout and Grayling. 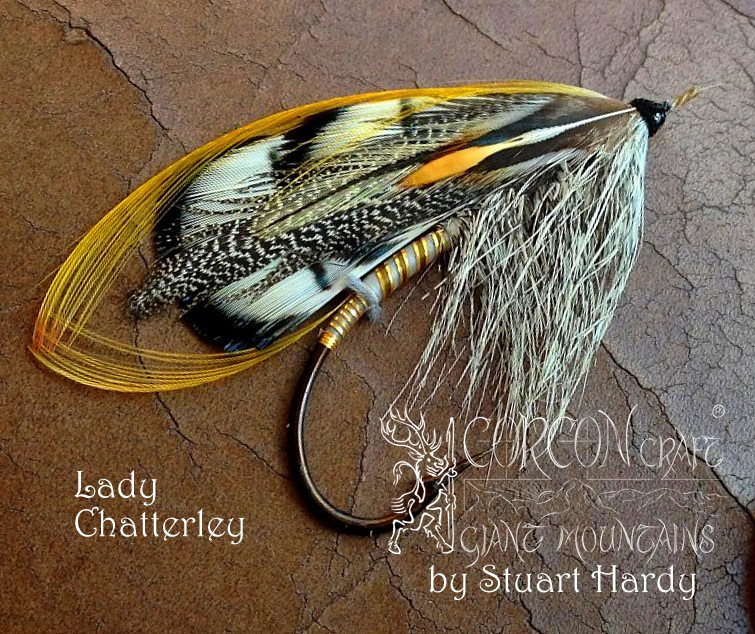 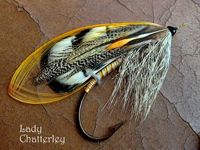 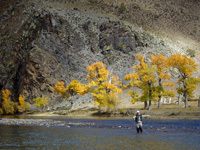 Limited small parties of no more than 6 fly-fishermen in the exciting spring season and in the equally productive fall season. 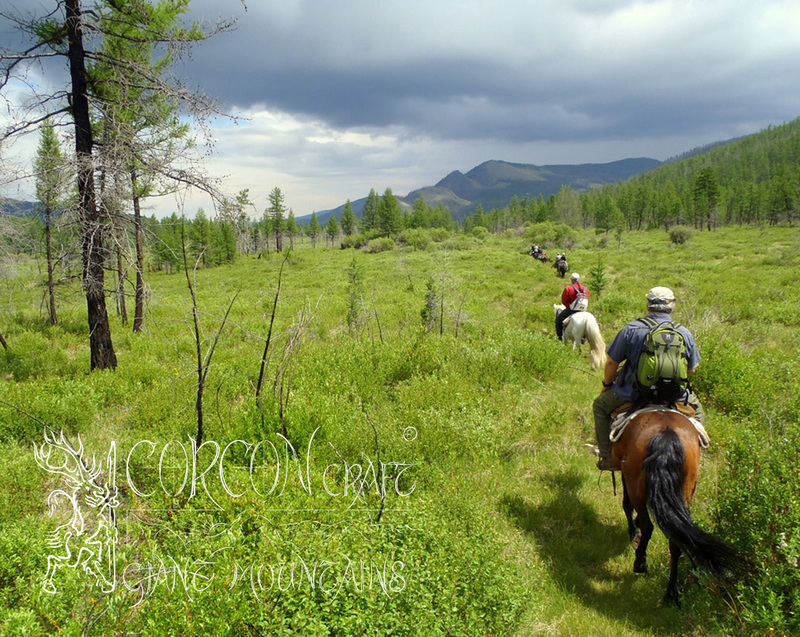 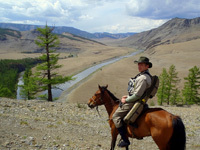 Pure wilderness tour across Maral elk, moose, wolf, and Taimen country. 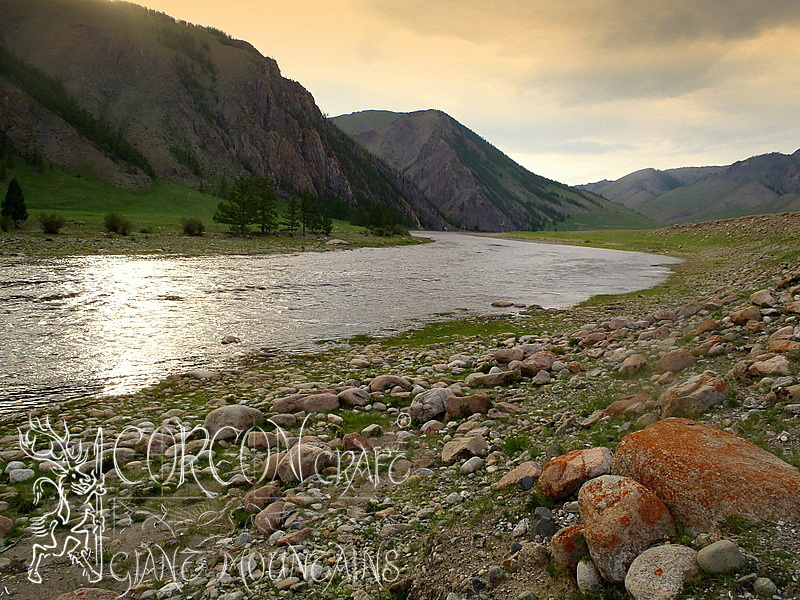 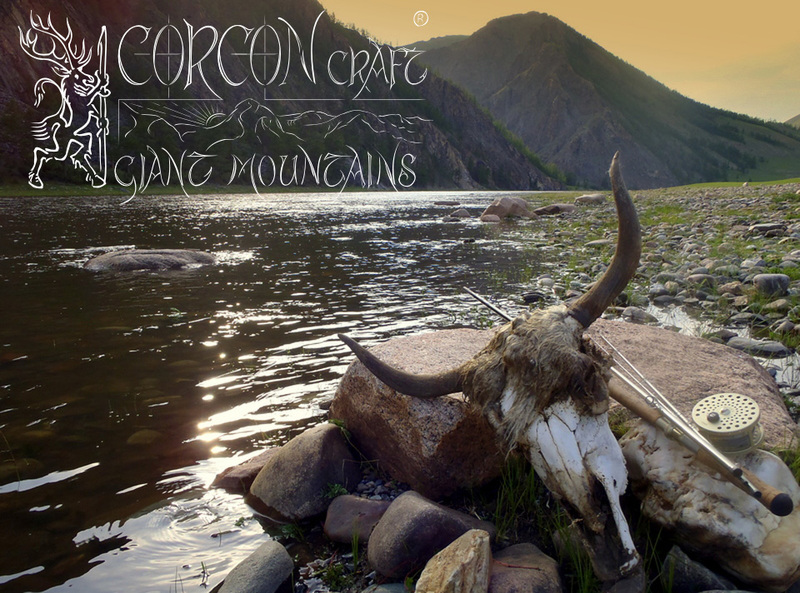 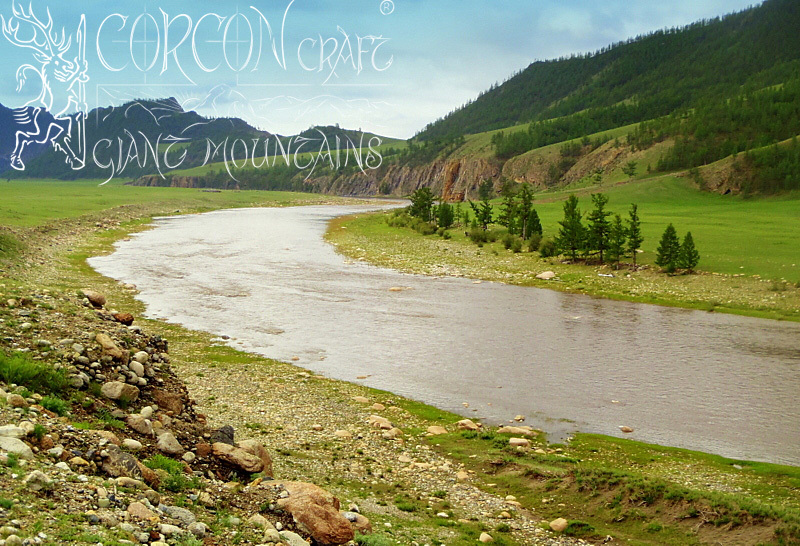 One of the best and last refuge of the Mongolian Giant Taimen. 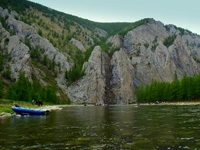 No more than 5 experienced and physically enduring sportsmen can take part at this demanding river float tour. 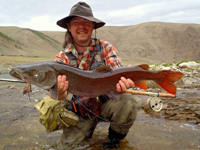 Only 10 strictly limited Taimen licenses and special permissions per year are quoted to us by the Mongolian authorities. 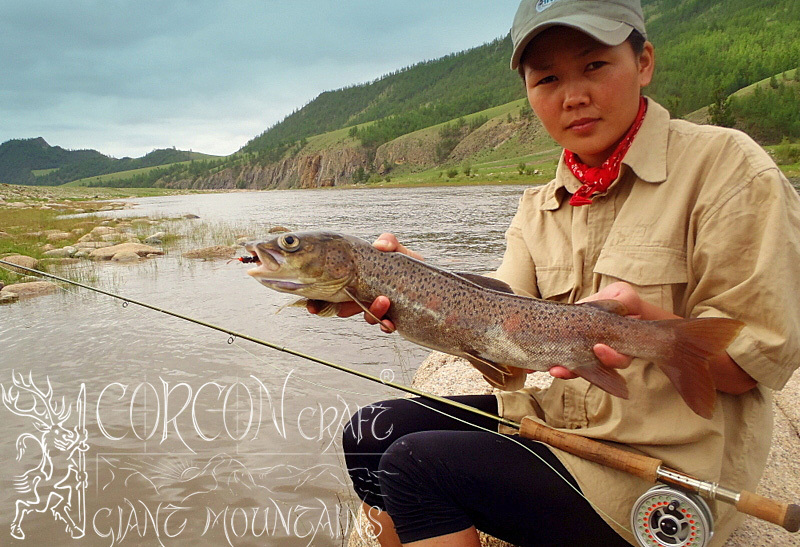 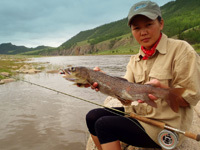 Being the only professional fishing and wilderness tour outfitter in Mongolia, we are holding all of these limited licenses for our fishing guests only. 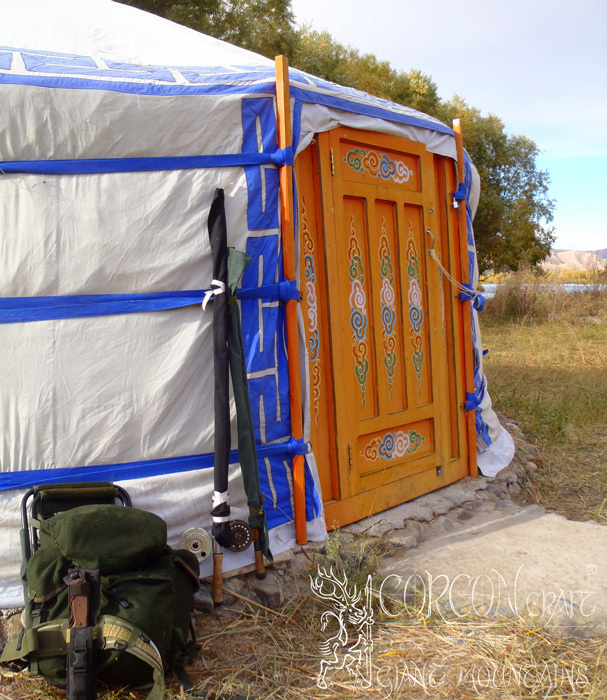 Traditional ger-yurta camp in the borders between Mongolia and Siberia in the North of the Hovsgol Aimak. 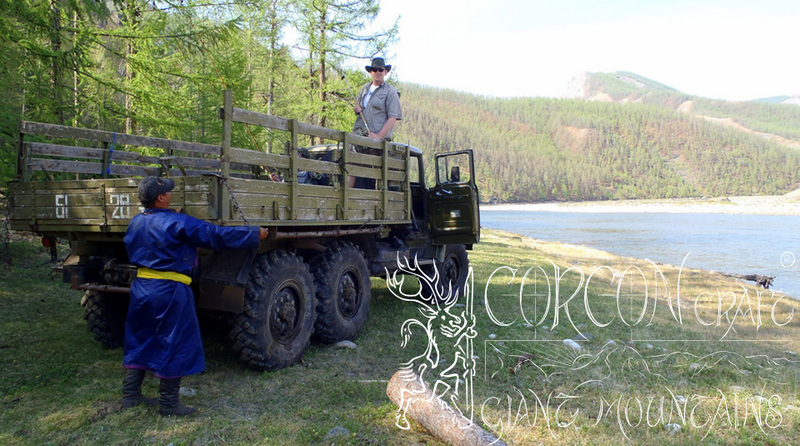 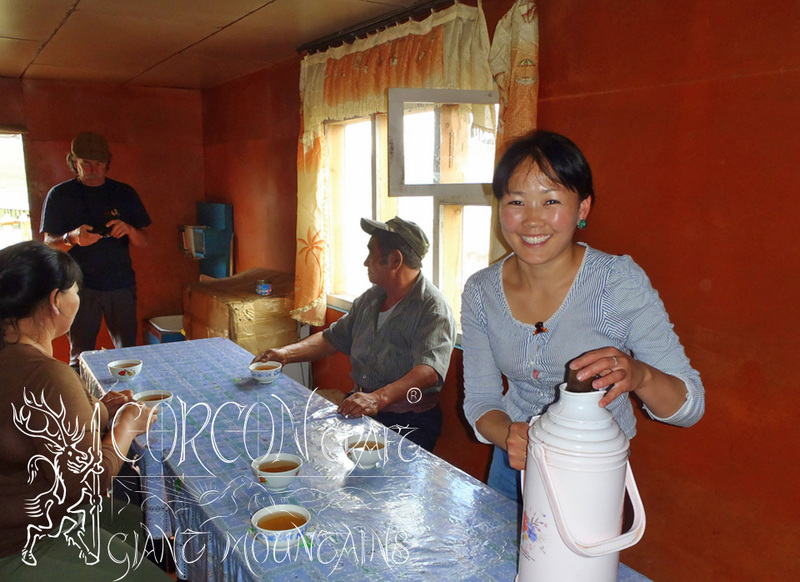 Well build and isolated gers, equipped with classic wood-stoves and comfortable beds, kitchen and service by our native colleagues. 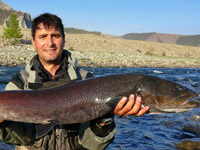 Fishing tour 14 days with full board of European and traditional local dishes. 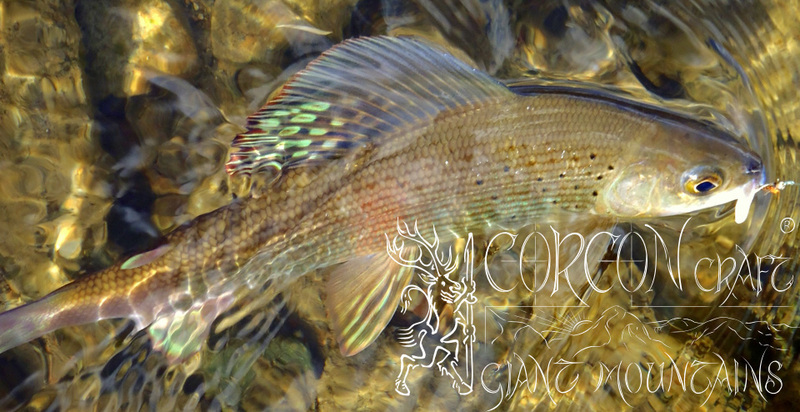 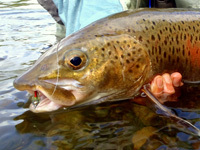 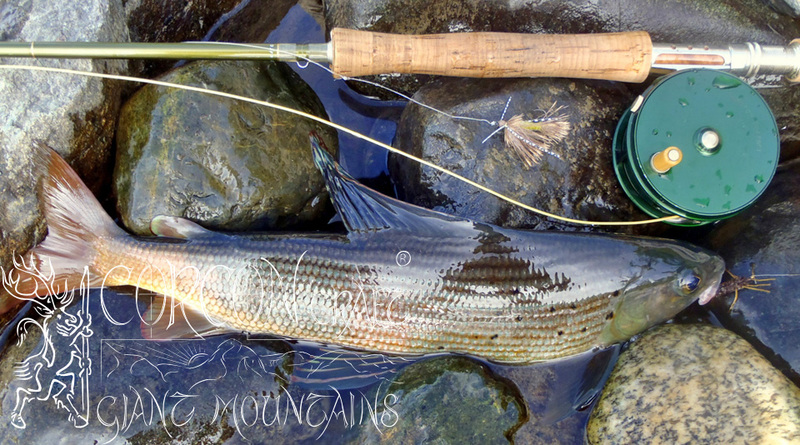 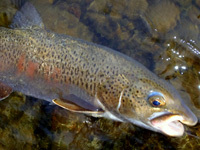 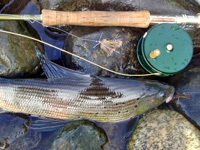 Sport fishing for large Hucho Taimen in the trophy-class, prime Lenok Trout and colorful Grayling. 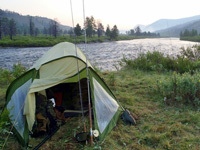 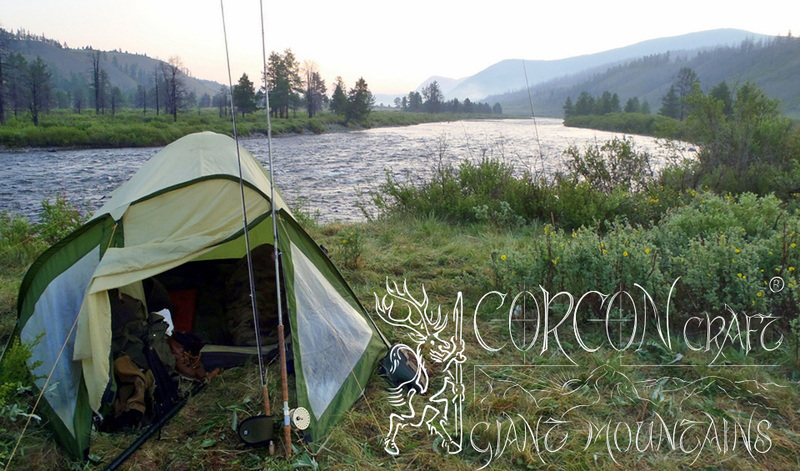 Camping equipment includes an off-road vehicle, horses, tents and native pathfinders for extended fishing explorations along the river. 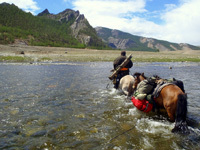 The river can be crossed by horses, at a few places just by the use of a wading staff, when the water conditions are low. 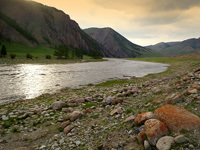 Fishing camp at the gate to a vast Mongolian national park of the 1. order. 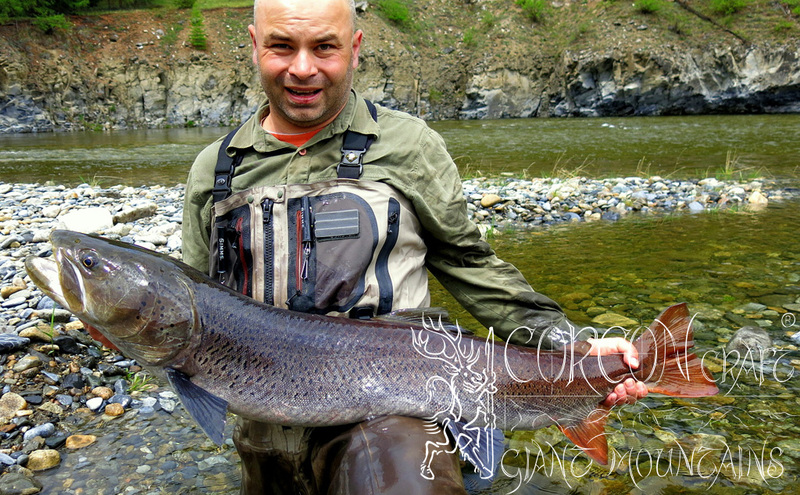 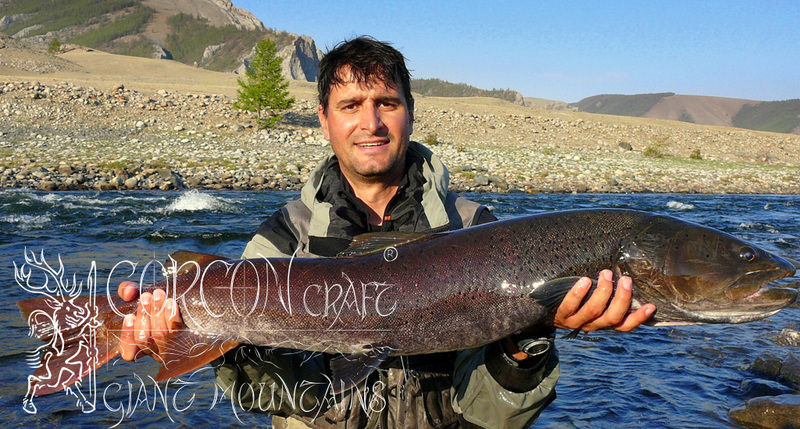 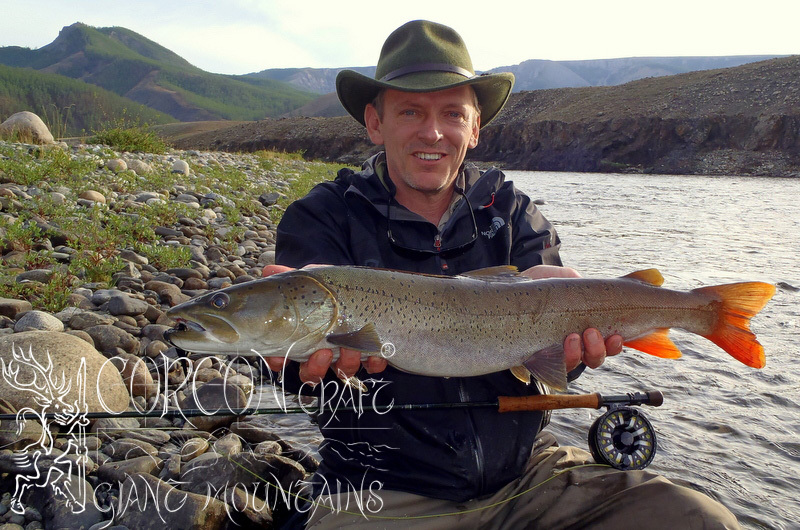 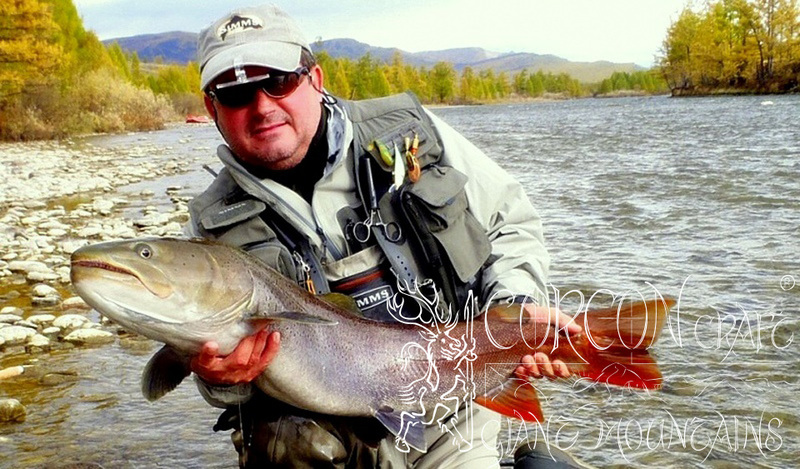 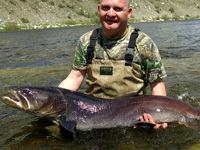 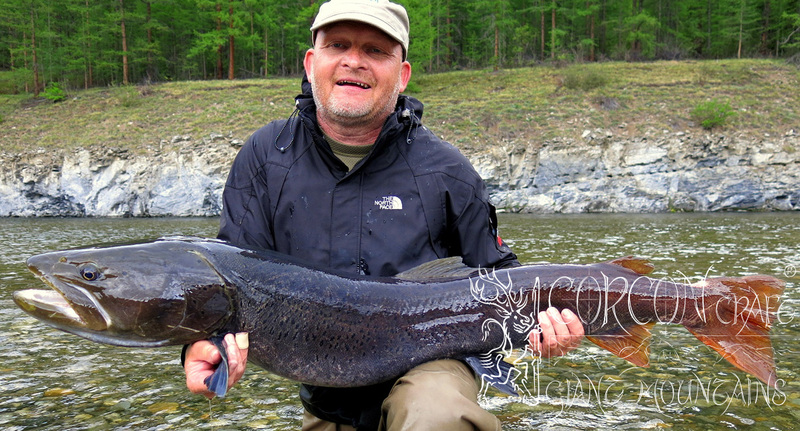 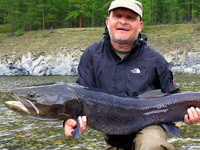 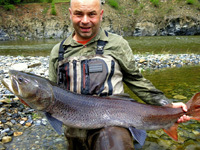 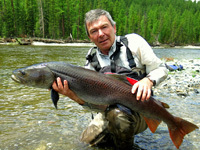 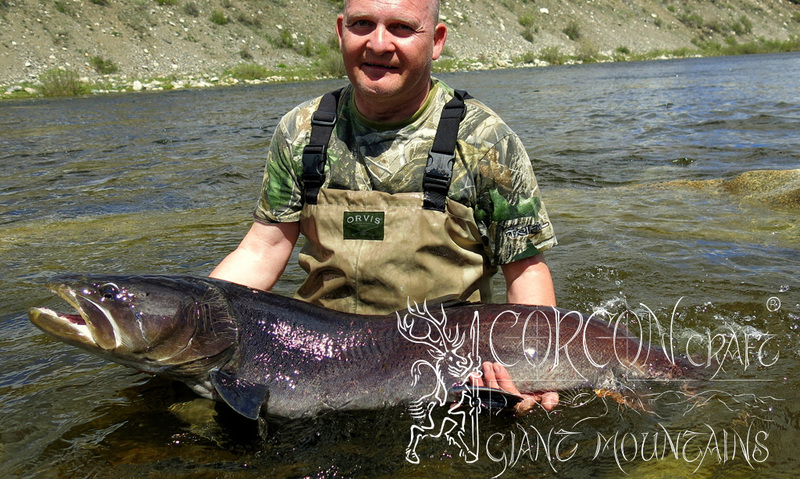 Strictly limited fishing licenses and special Taimen permits by the government for our fishing guests only. 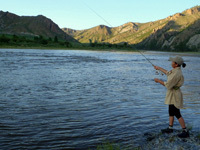 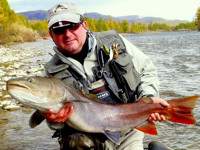 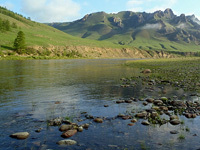 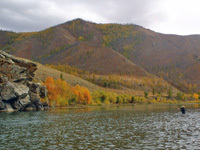 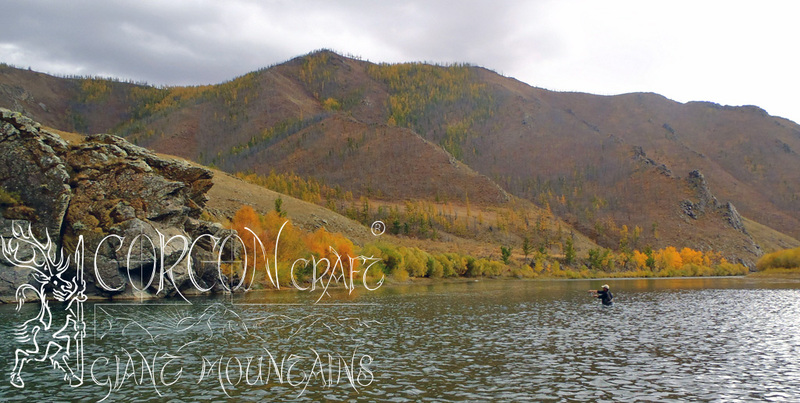 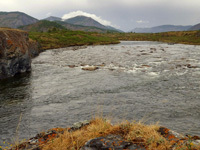 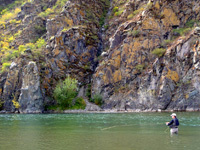 River forms the borderline between Russia and Mongolia, with fishing licenses and permissions from the authorities of both countries. 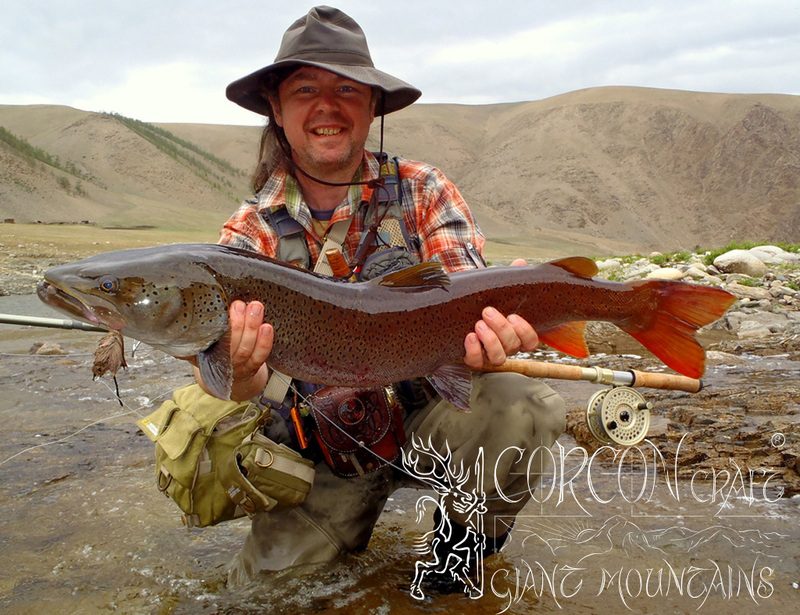 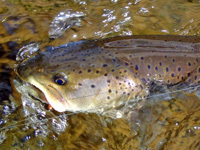 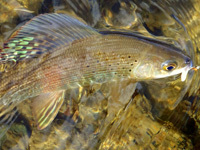 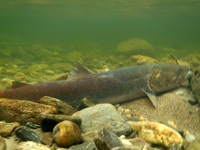 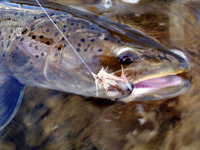 Besides an extraordinary good and healthy population of Hucho Taimen, there is great fishing for Lenok Trout and Grayling too, at the main river and in contributory creeks. 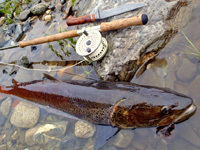 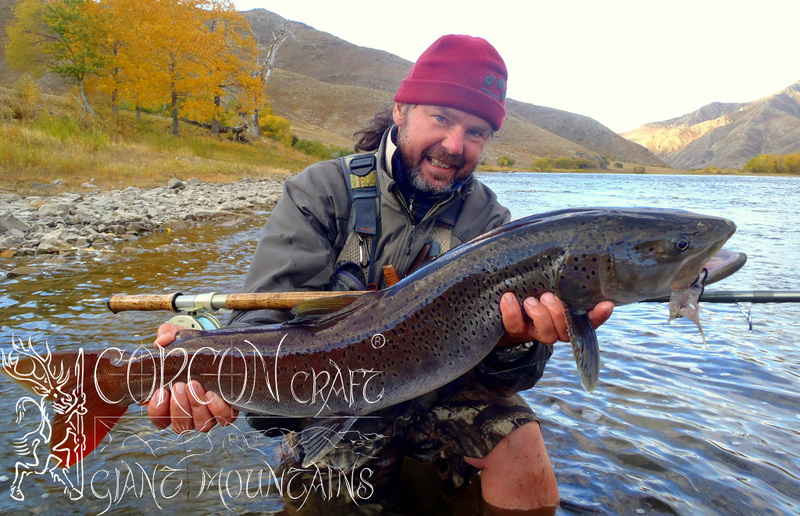 Only 1 Taimen expedition each in the spring and in the fall season. 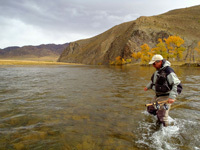 No more than 5 experienced sportsmen can take part at one of these demanding wilderness river float tours. 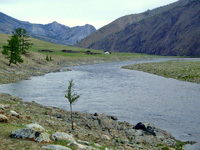 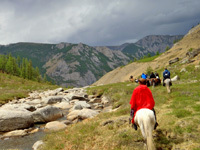 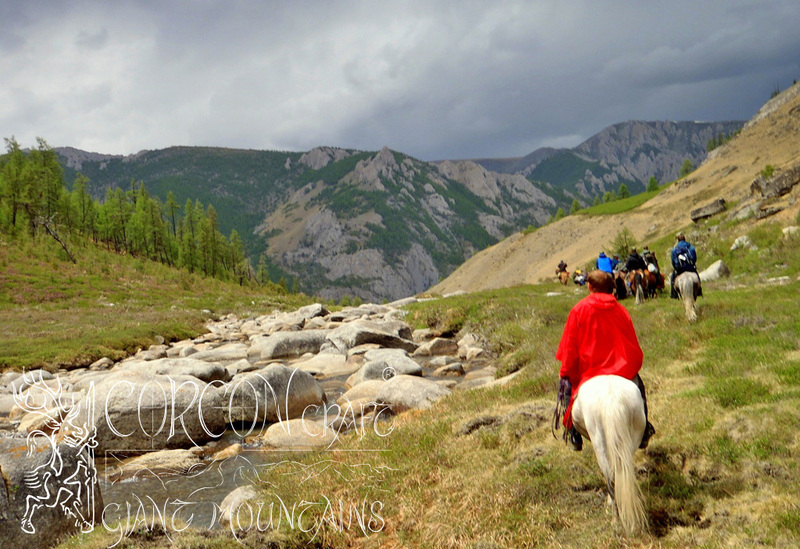 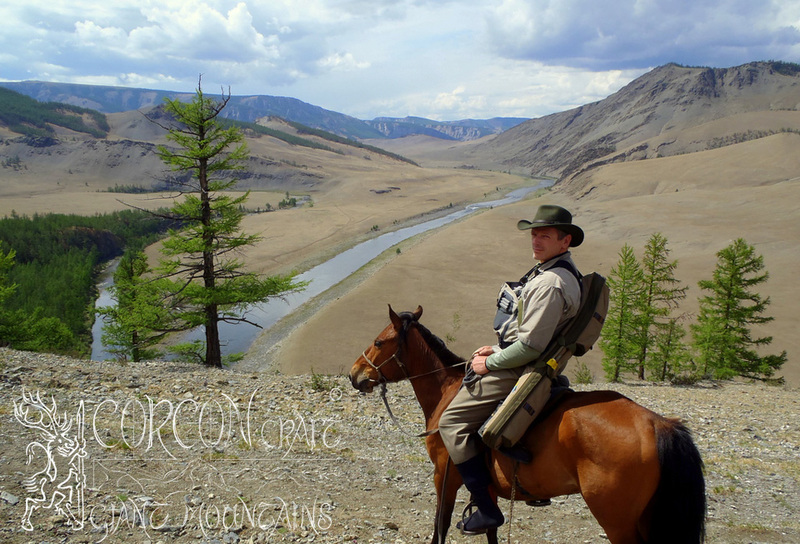 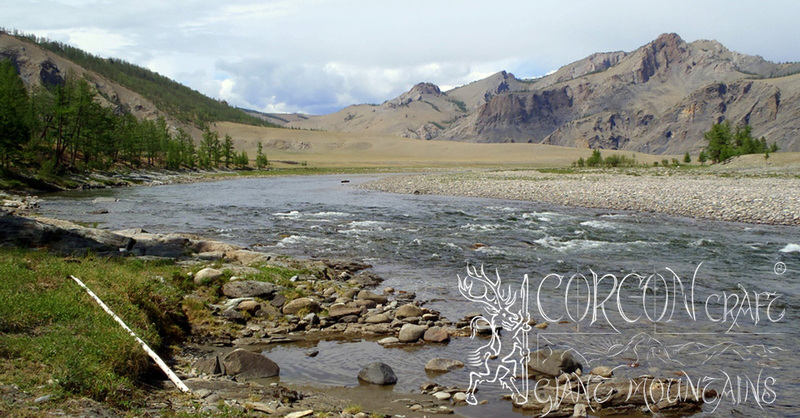 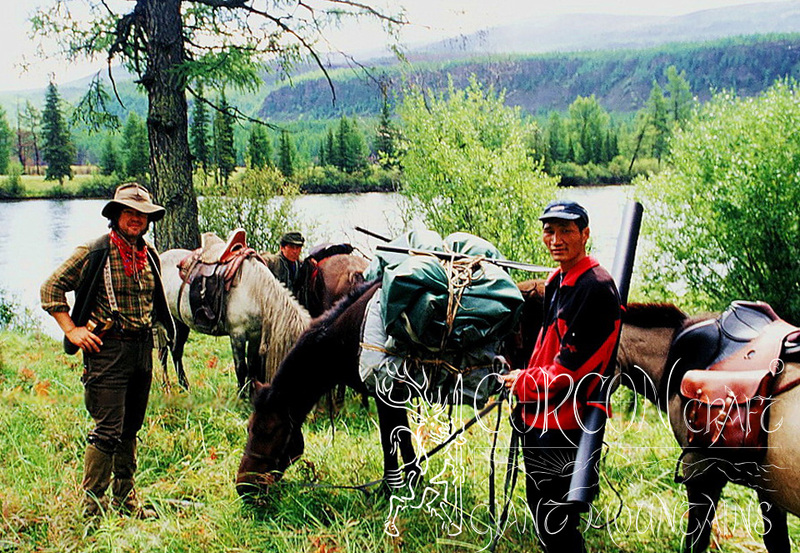 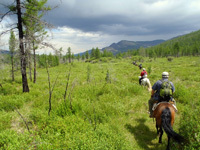 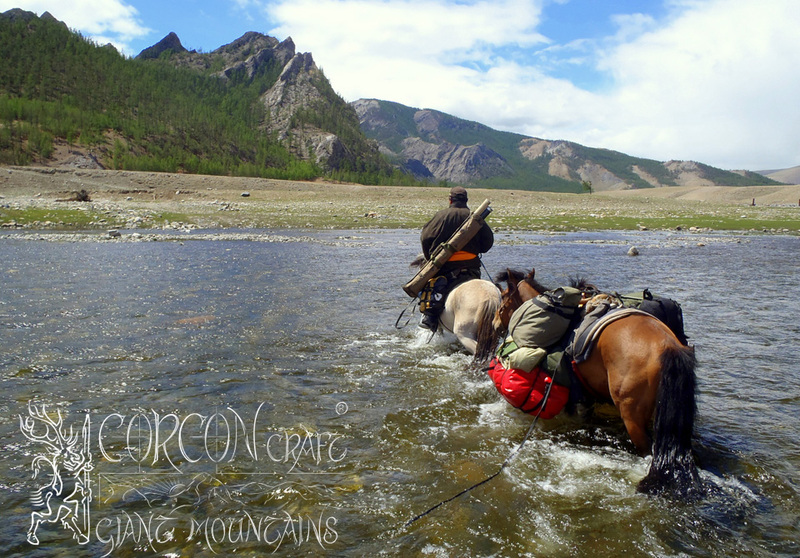 Taimen expedition with horses and rafts across the national park, along the Russian - Mongolian borderline. 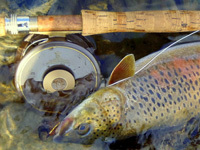 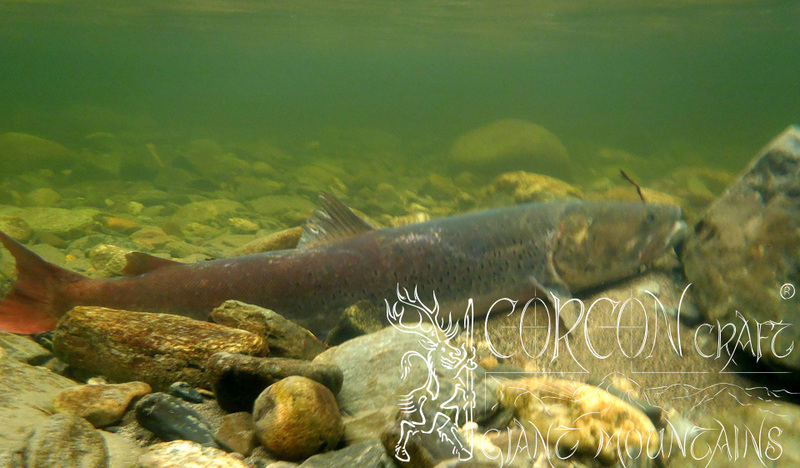 No more than 10 strictly limited licenses and Taimen permits per year for our clients only. 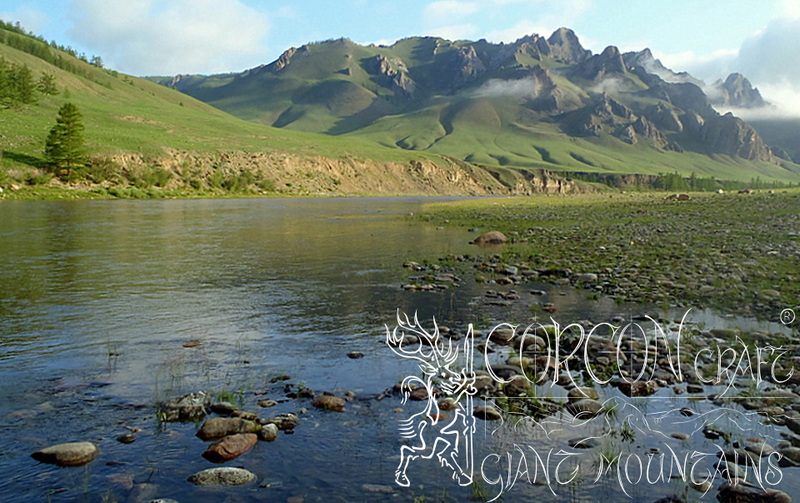 One of the last, prime refuge and stronghold of the Mongolian Giant Taimen. 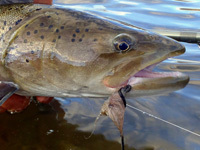 Strict single-hook policy with wide, de-barbed hooks. 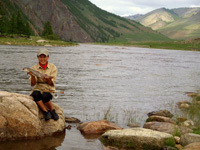 No fishing from boats, strictly prohibited all over Mongolia. 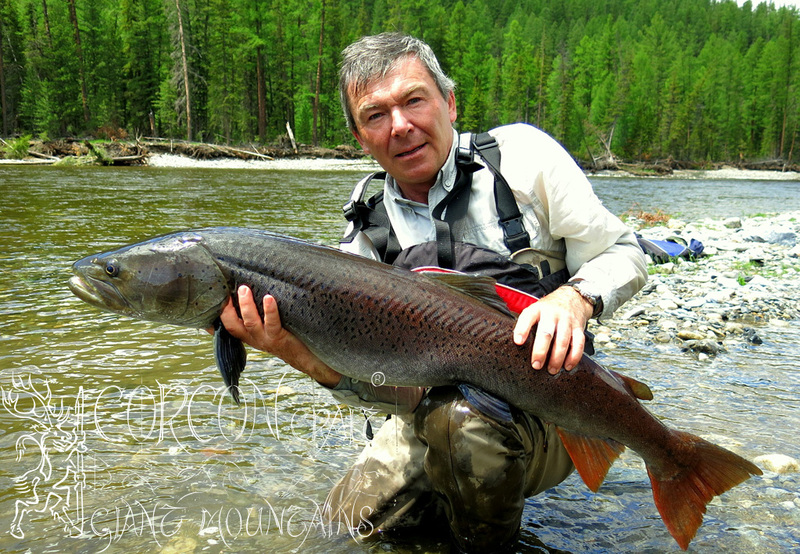 Obviously catch & release only for all Taimen sport fishing, as applies to all our camps and Taimen fishing across Mongolia. 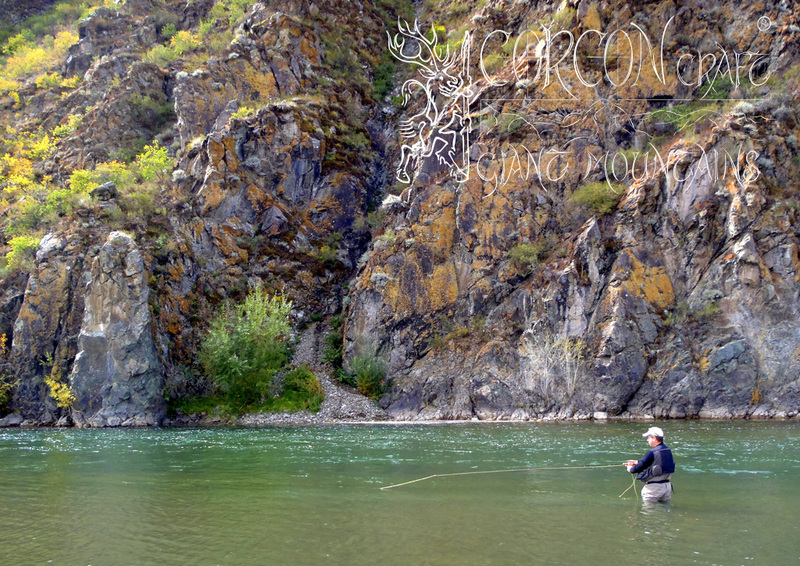 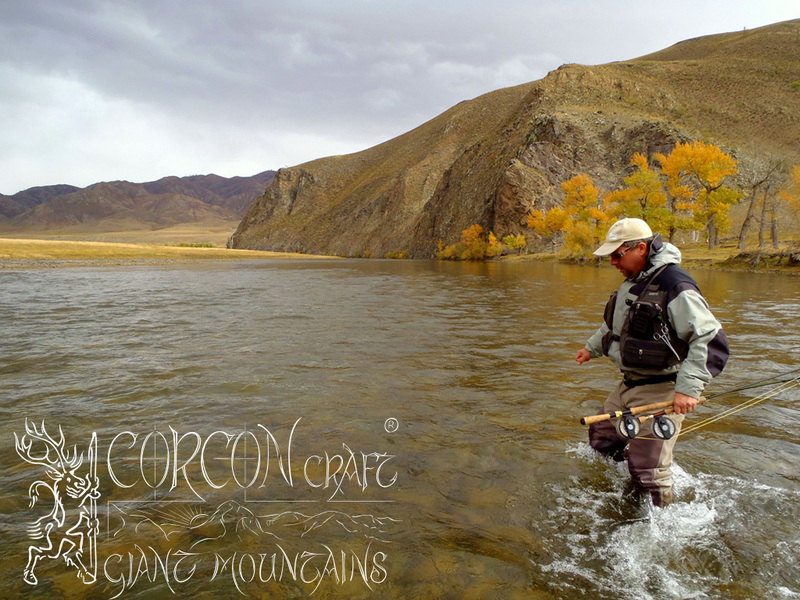 The perfect river for the fly-fishing enthusiast, no less than ideal conditions in breathtaking pure nature and wild landscape.